When solid state storage was first sold in 1991 it was expensive; a mere 20 MBs went for a whopping $1,000. Heck, even a few years ago SSDs were still pretty darned pricey (although not quite at the cost of $50,000 per GB). Today, though, solid-state storage has drastically decreased in pricing while remaining the gold standard when it comes to storage performance. Thankfully, you no longer need to break the bank to get the best budget SSD. Today we’re looking at our top six picks and taking a closer look at what to look for when shopping for a solid state drive. The Crucial MX500 falls into the middle of almost every category making it a great balance of performance, space, and affordability. For starters, it offers 500GB of storage space, meaning it’ll take more than just a few games to load it up but it’s not the biggest on the market. This drive uses a standard SATA 6Gb connection and has read speeds of 560MB/s and write speeds of 510MB/s. It also offers good performance with smaller reads and writes with a solid 95k rads and up to 90k writes. With these numbers, Windows will boot up quickly and feel responsive, while waiting for games to load will be a thing of the past… Well, not altogether, Anthem would still take a while to load, even on this, just less so. While the price per gigabyte is not the best on our list, the Crucial MX 500 offers a good balance of upfront affordability, solid performance, and a decent amount of space. If you’re looking for the best cheap SSD to throw your operating system and some games on, then this is a great option. And if the value and performance weren’t enough to have you sold the Crucial MX500 is an incredibly reliable solid state drive. It boasts integrated power loss immunity that can preserve any work if power is lost. It also comes with an impressive 5-year warranty from Crucial so you can count on the quality. If you’ve been shopping for a solid state drive then you’ll probably already know that there are, for the most part, two distinct types of SSDs. On the one hand, you have the more traditional 2.5” drives like the Crucial MX500 we looked at earlier. These use a SATA connection to communicate with the rest of your hardware. On the other hand, a newer form of storage called an M.2 drive is a form of solid state storage the plugs directly into your motherboard. 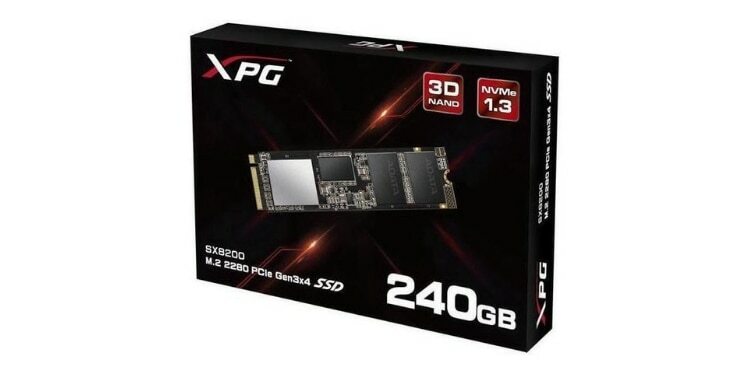 Often, these use faster PCIe lanes instead of SATA, as is the case with the SSD we’re looking at here: XPG SX8200 which is hands down the best SSD for the money if you’re looking for a high-performance drive. 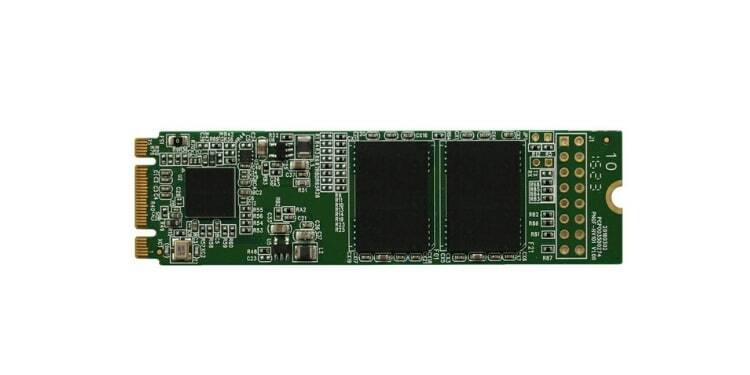 This drive uses PCIe Gen3x4 lanes to communicate with the other hardware in your computer at extremely high speeds. The SX8200 has read speeds of 3200MB/s and write speeds of 1700MB/s. On top of that, it has over 300k IOPS meaning this drive will offer incredibly responsive performance with even the longest loading times being reduced to seconds. That being said, there is one major drawback to this drive. It only has a 240GB capacity, meaning it might not be best for people who are already struggling to find space on their computer. This drive will hold your operating system and a handful of games, but not much more. There are higher capacity versions of this drive, with the next step up-- the 480GB model-- also being a good deal, but it’s obviously more expensive because of that. Even compared to only a few years ago, the cost you would pay per gigabyte of solid-state storage has gone down significantly. This has made it possible for drives as large as a terabyte, such as the Samsung 860 QVO, to become reasonably affordable. In fact, the larger the drive you buy the less you will be paying per gigabyte of storage. 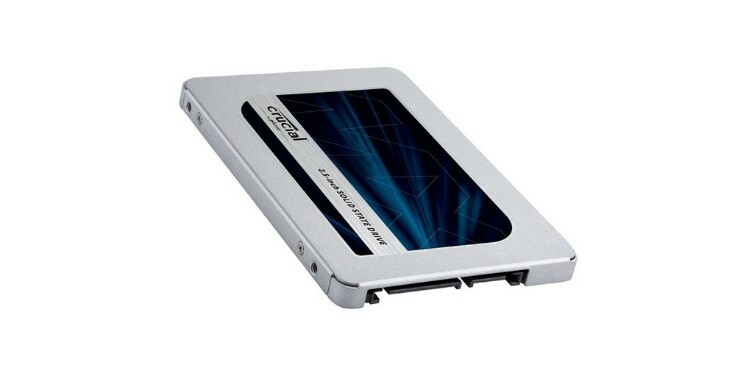 This SSD features the more classic 2.5” form factor and connects to your motherboard with SATA. It pushes the SATA connection to its limits too with read speeds of 550MB/s and write speeds of 520MB/s. Larger SSDs read and write faster than smaller ones since the increased numbers of NAND modules offer greater simultaneous reading and writing potential; this is especially relevant as your SSD reaches its maximum capacity. While this might not be the cheapest drive on our list up front, it is the cheapest drive on our list per gigabyte. 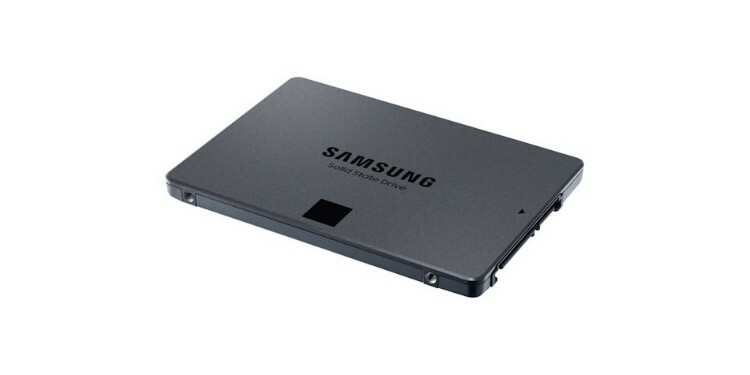 If you’re on the hunt for the best value SSD then the Samsung 860 QVO is a great choice. With its terabyte of space, you can easily put your operating system and tons of games onto solid state storage without breaking a sweat. In fact, this drive is also available in 2TB and even 4TB models, but these are much more expensive. For those who like the performance gains that M.2 drives offer but want something with more space than the XPG drive we looked at earlier, Pioneer offers a 512GB M.2 drive that offers similar performance. This Pioneer M.2 boasts read speeds of 3400MB/s making it slightly faster than the XPG drive we looked at earlier. Even more impressively though is that it has a write speed of 3000MB/s making it nearly twice as fast as the first M.2 style solid state drive we looked at. This is easily the most high-performance cheap SSD drive on our list with not only the incredibly high read and write speeds we just looked at, but also high IOPS as well with reads coming in at 435k and writes at 345k. While this is not quite as affordable as the first M.2 drive we looked at, it does offer a good value coming in at only a few dollars more and having twice the capacity. The 512GB this drive offers will store more than a few games and offers a good value. The only major complaint we have with this particular SSD is that it uses a pretty bright blue PCB that will stand out against most motherboards, so if you’re going for a super color coordinated build keep that in mind. As we saw with the other M.2 drives we looked at plugging your drive directly into the motherboard can result in some incredibly high read and write speeds. That being said, in order to reap the benefit of being plugged into the M.2 slot on your motherboard the drive itself must use PCIe lanes to communicate with your hardware. In some cases, M.2 drives can also use SATA lanes. This is the case with the WD Blue 1TB M.2 drive. In this situation, the main benefit of M.2 drives-- the speed-- is lost. This drive has a read speed fo 560MB/s and write speed of 530MB/s making it much more comparable to the performance of a standard SATA SSD than an M.2 using PCIe lanes. That said, this drive offers tons of storage space for a pretty good price, on top of highly reliable performance. 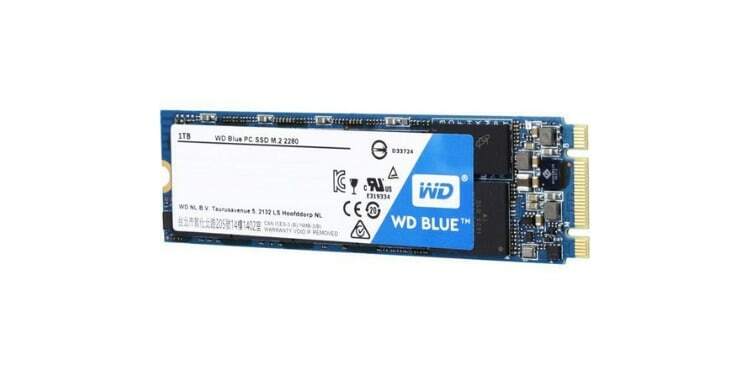 WD Blue M.2 drives are certified for an industry leading 1.75 million hours mean time to failure making them the best SATA SSD for those who need to keep their data safe. Finally, the last drive on our list is the absolute most affordable SSD we recommend from Toshiba. This drive comes in at only 240GB but offers a great deal for the space. In spite of being the cheapest drive on our list, this Toshiba SSD actually sports impressive performance with write speeds of 540MB/s and read speeds coming in at an impressive 555MB/s. Speeds like this are orders of magnitude faster than those found on traditional hard drives and this SSD offers enough space for your OS and a few games. 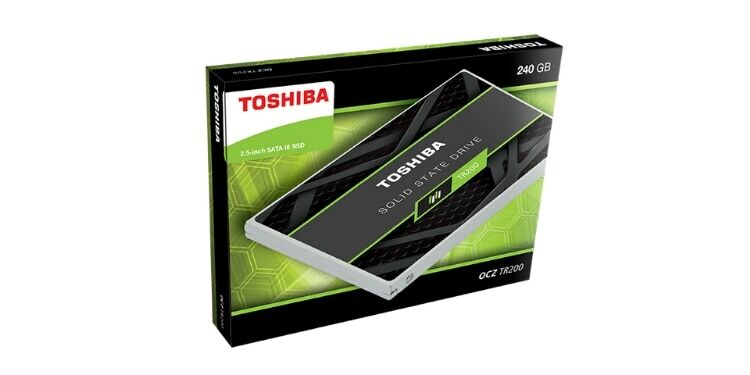 This Toshiba drive offers a great budget-friendly way to make your computer boot up faster, feel more responsive, and have shorter loading times in games. While it may not hold all your games or have the performance of an M.2 drive it does offer a serious upgrade to an older PC. Solid state drives come in all different sizes and formats; in fact, it can quickly become confusing when shopping. In order to help ensure you are getting the best product for your needs let’s take a look at the most important things to keep in mind. The first thing most people are going to want to look at when shopping for any form of computer storage is its capacity. Generally, solid-state drives come in 200GB, 500GB, and 1TB variants (although you also get 240GB, 480GB, and 960GB pretty often too). Most people will want to put their operating system on their SSD– about 20GB– because it makes your computer boot faster. Additionally, the average AAA game is somewhere between 30 and 50GB (although it is not unusual for modern games to be even bigger than that). This means that the average 500GB drive can hold an operating system and about a dozen or so games. Naturally, larger drives with more storage will be more expensive overall, but in most cases the larger the drive the less you will pay per gigabyte of storage. For example, the Sony 860 QVO is not the cheapest drive on our list, but its 1TB capacity makes it the best deal per GB. The main advantage that solid-state drives offer over traditional hard drives is their incredible speed. For reference, the average hard drive today runs with read and write speeds somewhere in the range of 80 to 160 MB/s. This means that even the slower solid-state drives on our list run at four or more times the speed of the average hard drive. With this speed, any of the solid state drives on our list will give you much faster boot up times if you put your operating system on it; it will also cut most load times in half. That being said, the absolute fastest drives on our list are the XPG SX8200 and the Pioneer M.2. Both of these drives offer read speeds of over 3000MB/s making them incredibly fast. The last thing we want to touch on is the difference between SATA and M.2 drives. More standard solid states drives use the 2.5” form factor that looks like a traditional drive. The small metal housing is plugged into the motherboard using a SATA connection and also receives a power connector. More recently, a form of SSD emerged called an M.2 which plugs directly into a slot on the motherboard. In some cases, these too use SATA connectors, but more often they utilize much faster PCIe lanes to communicate with the hardware in your computer. This is how the two fastest drive on our list from XPG and Pioneer achieve their performance. It is important to make sure when purchasing an M.2 drive that your motherboard has a slot for it.